With the district plan’s compelling mission, vision and core beliefs and clearly articulated performance targets, long-term strategies and immediate priorities as context, the school teams go to work. Each team creates a succinct plan with building-specific performance targets, key activities, and detailed action plans including who will do what by when with what resources. 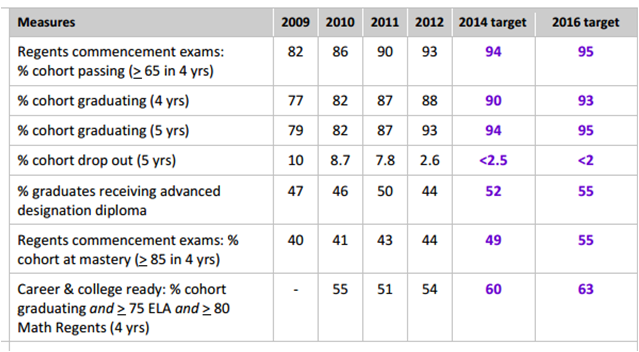 Schools set shorter-term performance targets within the context of the districts strategic targets. The school team begins its intense one-day planning session by reviewing the district strategic plan and then the building’s three- to five- year performance trends. They then agree to school-specific performance targets. These targets focus the detailed improvement plan and strongly influence the allocation of resources. 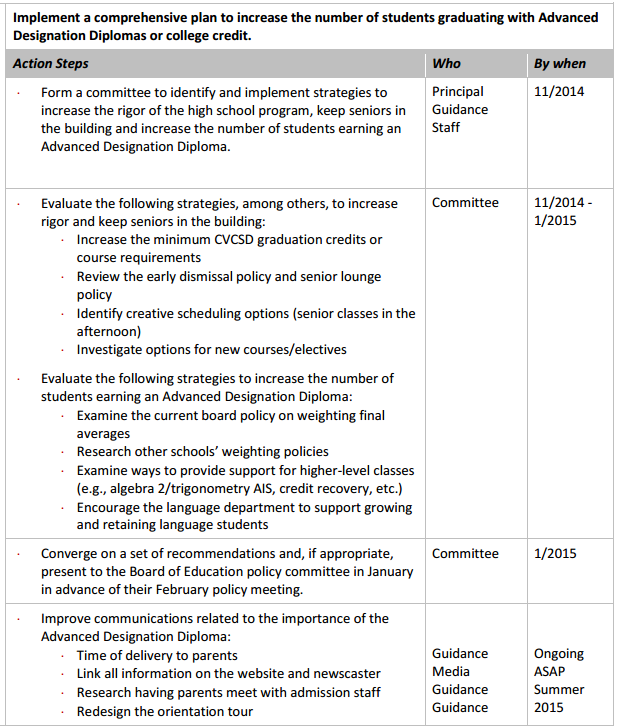 School action plans articulate the critical work to be completed in order to achieve the performance targets. This high school is trying to increase the percent graduating with advanced diplomas from 42 to 55. The team then agrees to a few critical improvement activities they believe are necessary to achieve their targets. Sub-groups write detailed action plans for each critical improvement activity. Whereas the district plan articulates broad strategies, the building plan articulates the specific actions necessary to improve student performance including who will do what by when with what resources. Sub-groups present their plans round robin where they are modified and approved by the entire team. High functioning school teams do not depend upon the principal or other administrators to implement their academic improvement plan. Instead, they volunteer to put their names beside activities with clear time scales. This shared accountability not only increases the likelihood that the work will get done but also builds strong teams that are committed to support one another in their efforts to improve student achievement. Each school’s improvement plan becomes a critical communication vehicle ensuring that everyone knows what the key performance targets are, what activities are being implemented, who is responsible, and what the key milestone dates are. The team should meet periodically to monitor their progress implementing the plan. They celebrate successes and problem solve obstacles. These plans do not belong on a shelf. 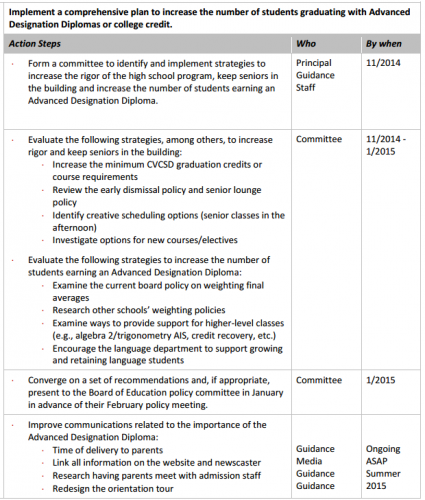 The entire planning cycle should be repeated annually at the district and school level. Performance targets should be modified and updated. Strategies should be refreshed, modified or replaced. Building action plans should be reinvigorated. Once this planning cycle is in place and repeated year-to-year, the planning becomes iterative. The district plan initially informs each school’s plan. But over time the school plans begin to influence the district plan. 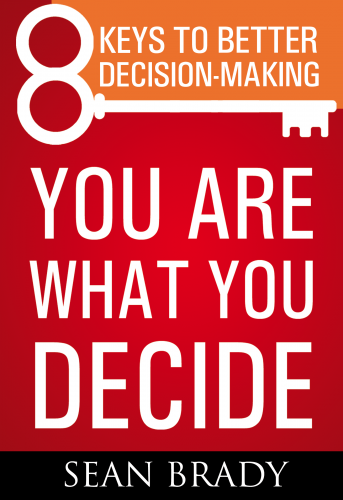 The flow of decision-making becomes symmetrical: top-down and bottom-up. The planning process becomes deeply embedded in the culture of school improvement. The plans live, breath and dynamically guide the district and each building on the rich path to improving student achievement. For more information, contact Sean Brady ([email protected]) today.